Joe Flood - Page 3 of 68 - writer, photographer, web person from Washington, DC. City Paper Fiction Issue Needs Submissions! You can’t escape the news. It’s everywhere in 2018, blaring from TV sets and buzzing across iPhones. Every day, a new outrage, as America stumbles through the year, like a drunk on the edge of a subway platform. Sure, you see the headlines emanating from Washington, DC, but what’s it like to live here? For that, you need fiction, which can not only tell you what’s going on but make you feel it as well. Short stories allow you to inhabit the mind of another person, seeing the world through their eyes, and uncovering their terrors and anxieties, which may be different than yours. Or they may be the same. The last City Paper Fiction Issue in 2017 featured three stories of electoral disaster, with my piece, Victory Party, the winner. Three fictional works that took you into the id of a city, uncovering its existential terror and disbelief. That’s another thing about writing fiction: it’s therapy. Victory Party was my attempt to define our disordered reality in neat words and paragraphs. And it was an amazing experience to see my winning short story in print all over the city. I got to do a reading, too, at Kramerbooks, which was the experience of a lifetime. The contest is back! The City Paper is calling for submissions for their upcoming fiction issue. It’s only 2000 words – that’s nothing! You’ve probably written longer emails. The deadline is November 11. Writing a short story about DC will help others understand what it’s like to live in a place where so much is so wrong. And it might help you, too. Author Joe FloodPosted on October 20, 2018 October 20, 2018 Categories ravesTags city paper, fiction, kramerbooks, short story, victory partyLeave a comment on City Paper Fiction Issue Needs Submissions! The brain is a mysterious thing. After suffering a concussion, Theresa Amelia turned to art for healing, depicting the shapes that she saw in her mind after her injury. 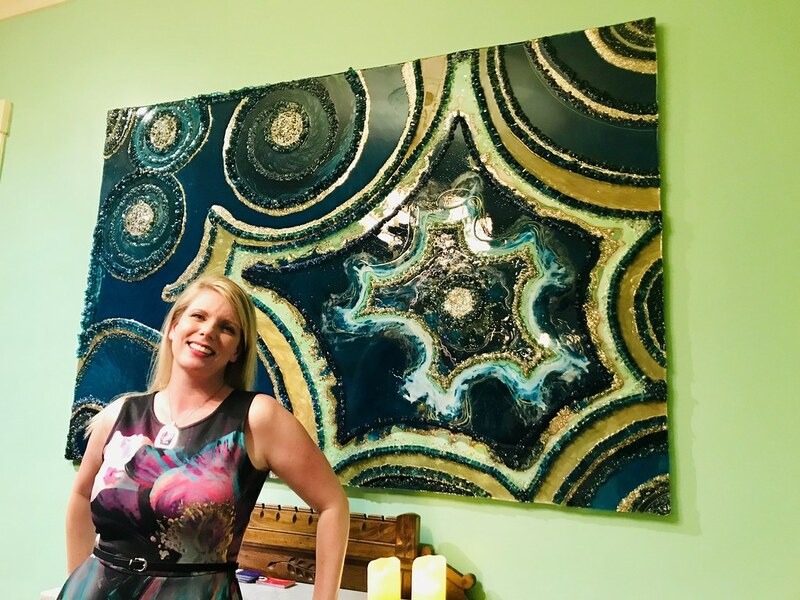 The result is the beautiful work pictured above – Ocean Agate – that now hangs in a home in Georgetown. It’s mixed media, weighing in at 45 pounds, and features glass and crushed gemstones that glitter in the light, including over 25,000 hand-set mosaic pieces of glass, 20,000 hand-set pieces of tumbled or raw gemstones (Brazilian Aquamarine, Lapis Lazuli, Green Agate, Blue Soapstone, and Green Bloodstone) and over 20,000 ml of poured, custom colored acrylic resin. Theresa was not an artist before her traumatic brain injury. While she did have a visual sense, from her experience as a photographer, to develop the skills, focus and vision to produce a work of art like Ocean Agate is an almost unexplainable leap. She spent more than 240 hours in its creation. The injury changed her, producing innumerable negative consequences (like memory loss) but a few positive changes, as precious and as rare as the stones used in Ocean Agate. In addition to her newfound artistic ability, she now empathizes with people in a way that she never had before, feeling what they feel just by looking at them. Maybe this is due to her realization of the fragility of our consciousness or maybe the injury unlocked a part of her brain that we no longer use, this kind of empathy unsuitable for our busy, complicated societies. Art provides consolation and a way to work through difficult times. Art therapy is used to help veterans returning from combat – traumatic brain injury is a “signature injury” from our endless wars. And in some cases, brain injuries can lead to extraordinary art. Thankfully, I’ve never had a concussion. But I’ve seen friends after it’s happened. They are truly not themselves, not knowing where they are or their own name. Experiences like that teach you that our identities are thin and flimsy things, held together by a few membranes in our heads. Can a book change a life? Anna thinks so, believing that putting the right book in the right hands at the right time can turn someone around. She’s a librarian at the DC Jail, responsible for picking out titles for troubled men. With time on their hands, they are avid readers, devouring everything from Westerns to Steinbeck. One of the men is Michael Hudson, facing a felony gun charge. He’s freed, thanks to Phil Ornazian, a private investigator, who sprung Michael to involve him in a series of armed robberies. Phil, and his partner, an ex-cop, target drug dealers and pimps. They think that they’re the good guys. With a library card and a new-found love for reading, Michael is trying to go straight. Can he escape those who seek to entrap him in criminality? That’s the basic plot of The Man Who Came Uptown but the novel is really about the line between good and bad. Pelecanos is great when it comes to depicting men who operate on both sides of the law, people who commit violence in the name of justice. But once you cross into that kind of criminality, is it possible to come back without consequence? His style can be awkward at first, with characters that speak in exposition, explaining things like gentrification in ponderous sentences. But if you live in DC, this is a must read. George Pelecanos portrays a gritty Washington of neighborhoods far from the monumental core. 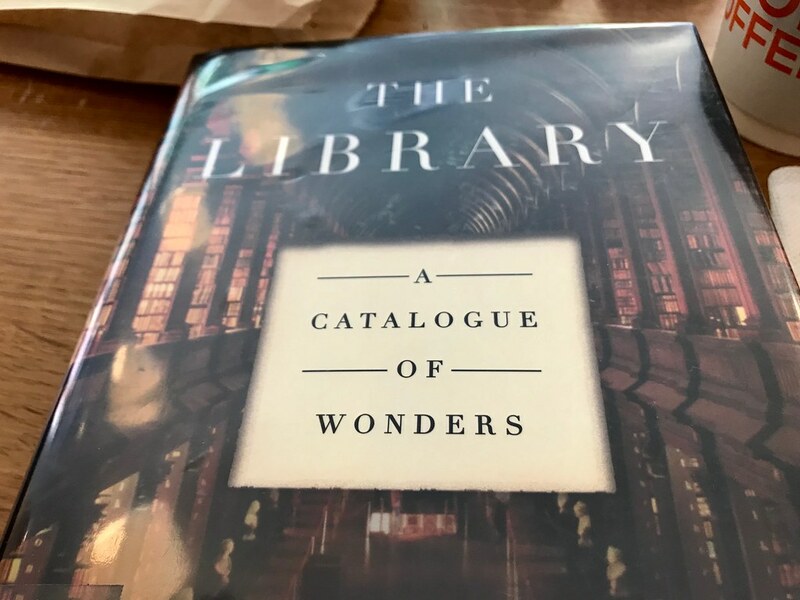 It’s also a love letter to books and the DC Public Library system, a feeling that I share. There really is a library at the DC jail. Books can change a life. It’s possible to come back from bad and rediscover your essential goodness. Shameless Plug: If you liked The Man Who Came Uptown, check out my crime novel Murder on U Street. 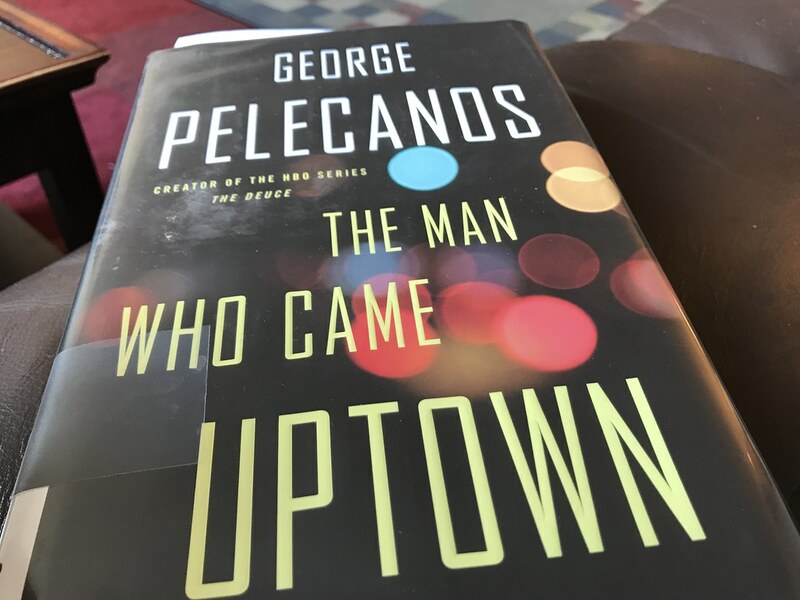 It traverses many of the same neighborhoods as Pelecanos’ book but with more of a satiric bite. Watching the sun go dark in the middle of the day will change how you look at the world. Suddenly, everything you thought of as permanent seems transitory, made even more precious by the idea that the world we know could disappear in an instant. That was my experience seeing the eclipse last year in western North Carolina, a moment that was both humbling and inspiring. 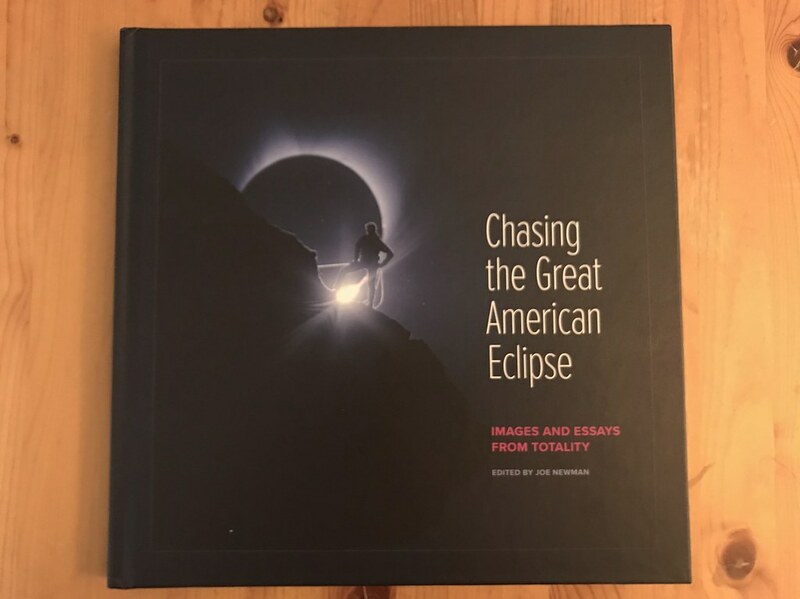 I was delighted to see my essay and photos in Chasing the Great American Eclipse, a new photobook that documents last year’s epic solar event. This gorgeous tome follows the eclipse as it darkens the United States, from the Pacific to the Atlantic, with stories and images from a nation brought together, if just for a moment. The second cop was serious. I had been stopped within minutes of crossing the border, my rental car with out-of-state plates a magnet for Kansas police looking for drug smugglers from pot-friendly Colorado. The first set of officers were in a black SUV. I was speeding, as was everyone else that morning on I-70. The officer wasn’t even in a police uniform I recognized but, instead, clad in black from head to toe and wearing body armor, as if he was about to engage heavily armed terrorists on the burnt plains of western Kansas. He peered into my car and told me to slow down. The second cop was alone. A state trooper. I had slowed down after the first encounter. This one said I had swerved in my lane. “What you doing out there?” he asked, pretext blossoming in his mind. “I went to bike around,” I said, pointing to my bike in the back. I had spent a couple days biking around Frisco and then visiting friends in Denver. He chatted me up, asking about Frisco and sharing how he had visited there with his son for a baseball tournament. Then he took my license and returned to his car for a very long time. A good ten minutes passed, more than enough time to write a warning. I realize now that he was watching me to see my reaction. Would I squirm? Toss something out of the car? Fidget nervously? I just sat there, wondering how long it would take me to get out of this flat state full of aggressive police. “You don’t have any drugs or guns in the car do you?” he asked. It’s a good thing that I’m from Washington, DC, and have dealt with security theater for years. I’ve removed my belt to go through metal detectors, been prodded by rent-a-cops in dimly lit lobbies and had a suspicious granola bar removed from my backpack at the Capitol. 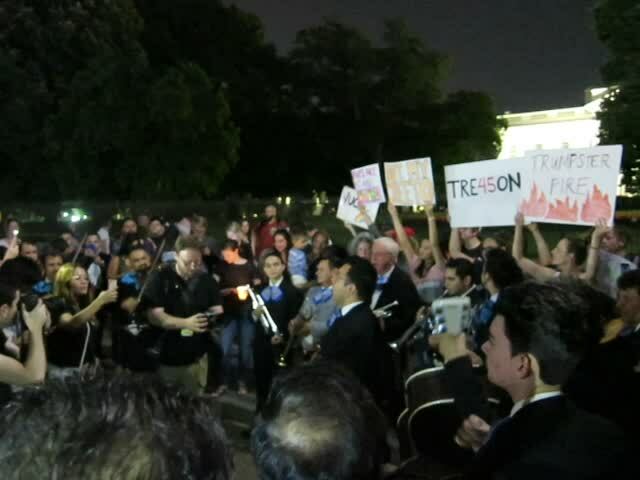 I’ve been yelled at by the Security Service for the crime of riding my bike in the street and ordered off the Ellipse during the government shutdown by the Park Police. Leaning into my front seat, he zipped open my backpack and peered into it. Then he opened the backseat and did the same to my suitcase. And then he let me go. Quite the clever little operation he had going – promise just a warning, watch to see if the suspect does anything suspicious and then ask to search the vehicle. How could you refuse? If I had been an immigrant, a person of color or anything other than a white man with a spotless record, I’d be in jail right now. Guilty or not, he would’ve found a pretext. A few days later, I was back in DC. Glad to be out of a car, I returned to my auto-free lifestyle, making my way around the city by foot, bike and, occasionally, by Metro. Metro was a wonder a decade ago, an essential piece of the city that you just assumed would work and always be there. Now, neither guarantee is in place, as we’ve let this vital piece of infrastructure decay and collapse. But, occasionally, you get glimpses of its past glory. Yesterday, there was a photo exhibit opening that I wanted to attend in Crystal City. It’s an easy bike ride, less than thirty minutes, but on Friday the skies opened up, a week’s worth of heat ending in monsoon rains. I took the Metro, prepared for the worst of rush hour. But I waited less than a minute at Dupont Circle for a Red Line train. And no wait at L’Enfant Plaza, as I switched trains. The train emerged from a tunnel on a bridge over the Potomac, the skies dark, the 14th St Bridge bright with red taillights of Virginia-bound cars. A couple more stops and I was in the underground warren of Crystal City, as traffic in the city ground to a halt due to flooding. Returning home was equally easy. Cities need subways. A nation’s capital especially needs one for the thousands of federal workers that rely on it every day. And god forbid there’s an actual emergency in Washington – you’re not evacuating the city on streets that gridlock during mere rain. We’re told there’s no money for a working Metro. No money for health care. No help for the poor. That’s socialism. But there’s plenty of money to patrol the wastelands of Kansas. Cash grants are available to outfit corn-fed yahoos with assault weapons, body armor and gas-guzzling SUVs. 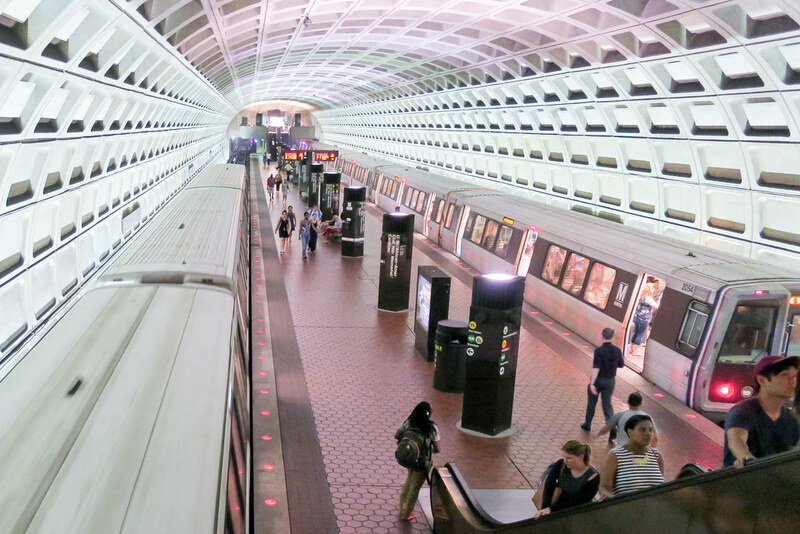 Federal funds flow out of Washington, where they are needed to fix the Metro, to the empty quarter of America. Are we a nation that jails immigrant children, punishes the poor and wastes billions on a vast security state or are we a people that invests in a future that we can all share? Find out on November 6. 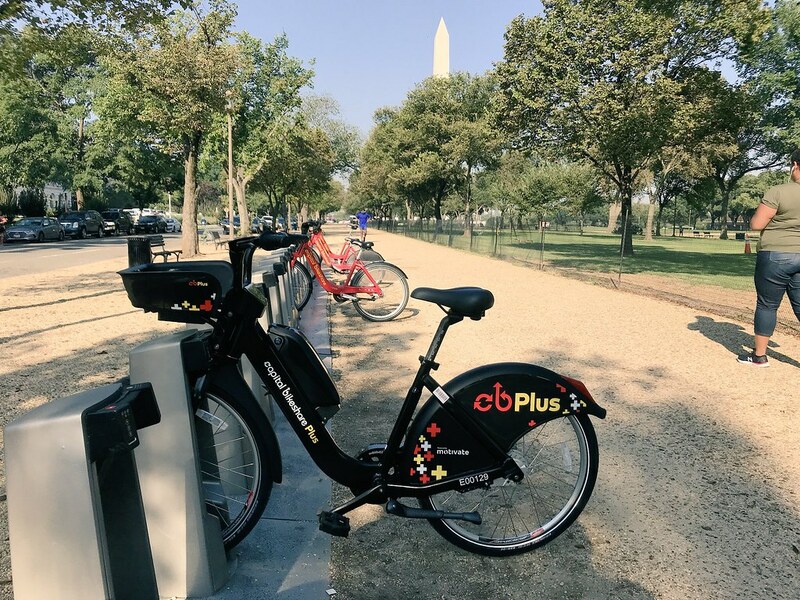 CaBi has added electric bikes to their arsenal, as part of a pilot program that runs through November. Capital BikeShare Plus, they call it. These new ebikes are designed to be used just like the iconic red bikes, integrating seamlessly into the existing Capital Bikeshare system. There’s no additional charge to use them for CaBi members. As a long-time CaBi user, I was anxious to try one. 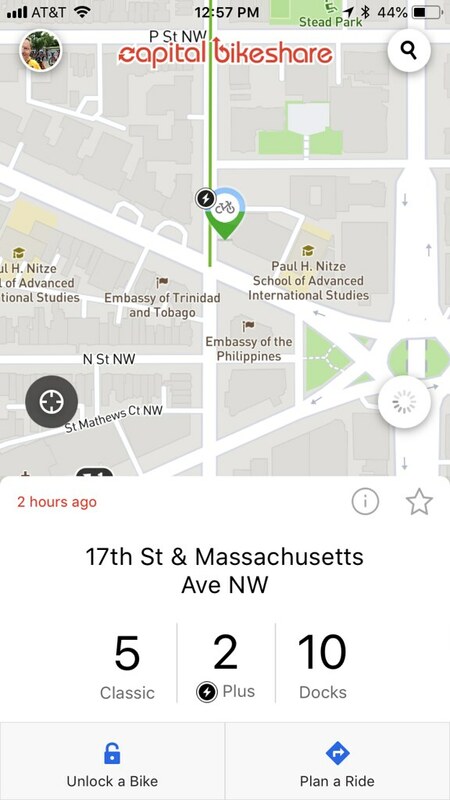 I checked the CaBi app and saw that one was available, delineated with a little lightning bolt on the map. Shazam! The electric bikes are black and easy to spot. I unlocked it from the dock the way I do with any other CaBi, with a fob on my keychain. Among the many things that Capital Bikeshare gets right is ease of use. Pulling it out of the dock, I noticed it looks and feels almost exactly like the familiar red bikes. If it’s heavier, I didn’t notice, and it handles just like a CaBi, except faster. There are a few key differences, however, the biggest being pedal assist. To activate it, you press a button on the battery on the bike. I expected a light or something to turn on. Nothing did. But, after I got on and pressed down on the pedal, I knew: this is on! Almost too on, sending me flying down the sidewalk before I was fully prepared. Capital BikeShare Plus bikes have three gears, just like the red bikes, and, like the red bikes, the first two gears are useless. a variable transmission, according to the ever-knowledgeable Mr. T in DC. Like I do with the three-speed CaBis, I kept it in the highest gear. There are a couple other nice additions to the bike too. The first being a functional basket, rather than the magazine rack on normal CaBis. The fenders are longer and more robust. The bell is better, too, built in to the handlebars rather than hanging off it. But you don’t care about that. How fast is it? Fast. While the top speed is limited to 18 mph, you get up to that speed almost instantly. A couple turns of the pedal, the motor kicks in and you’re merrily racing along. I tried not to be a jerk about it. I didn’t blow by cyclists going uphill, but instead let my speed drop, following them as they labored over the gears like factory workers. 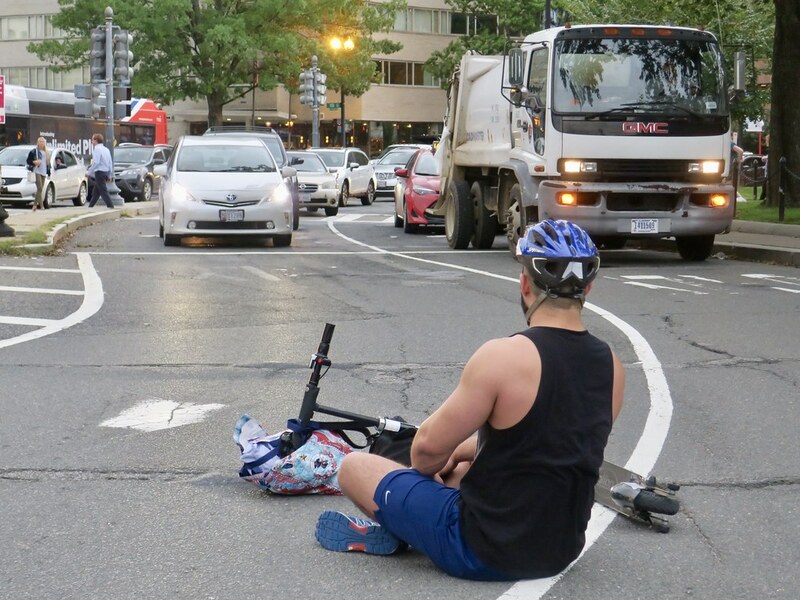 On straightaways, I passed “serious” cyclists on road bikes, hunched over, sweating, lycra-clad, while I rode by, smiling, upright, in a polo shirt. Speed is fun. Americans love speed and 18 mph in a world where everyone is going ten seems helluva fast. But where e-bikes shine is going uphill. I had to go to an appointment near L’Enfant Plaza. With my speedy CaBi Plus, I got there early. With time to kill, I decided to test the bike by taking it up the steep slope of Capitol Hill on the sweatiest, hottest morning of September. And it was no work at all, the bike climbing the hill almost effortlessly. If I had taken a non-electric CaBi, I’d be nearing a heart attack when I reached the top, but with CaBi Plus, my heart rate barely changed. On the way back down Capitol Hill, I followed a guy in a suit on an electric scooter, a sign that e-transportation is the future. Electric bikes and scooters are ideal for short trips, particularly in cities. The coming decades may not belong to Tesla but to something much simpler: electric bikes. 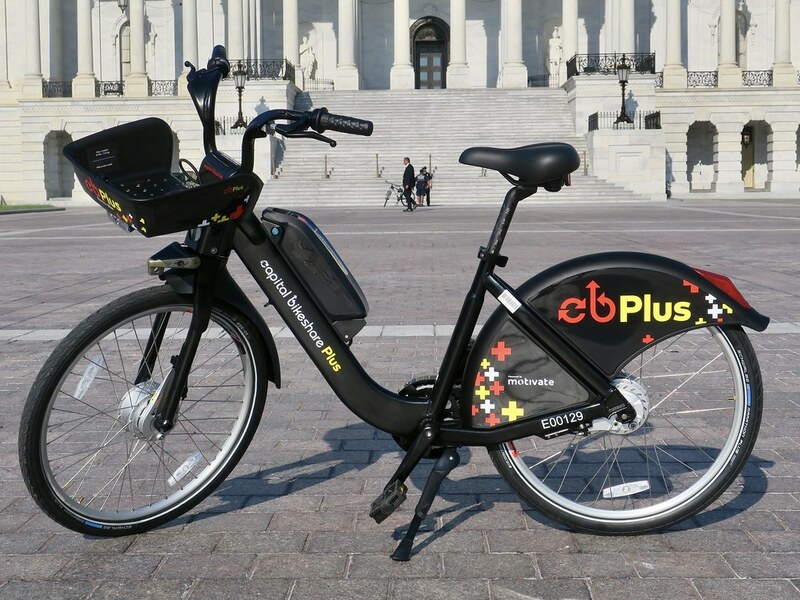 CaBi Plus, and electric bikes in general, are also perfect the vast majority of Americans who don’t feel comfortable on a bike. 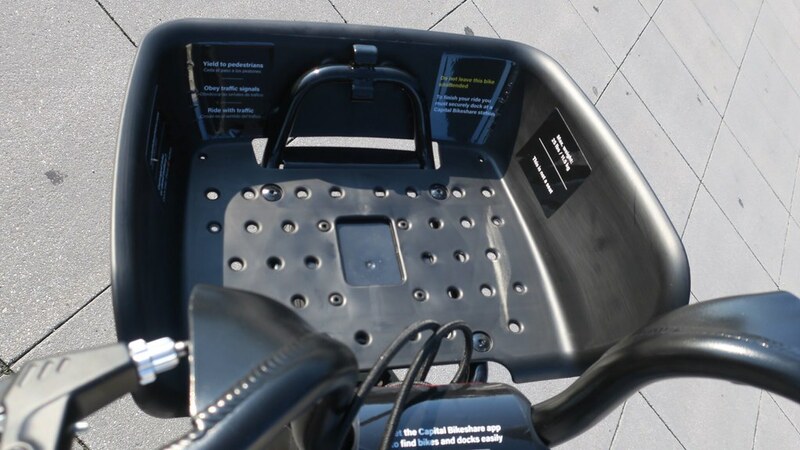 Pedal assist allows people with health issues to ride again, as well as people who don’t want to get sweaty. They also allow people to get up to speed quickly, which is useful when commuting in traffic. I was sad to return Capital BikeShare Plus to the dock – that’s when you know it’s love. But there are eighty of them in the city so I’m sure we will meet again. Think stories, not press releases, if you want media coverage. As an avid Capital Bikeshare member, I was delighted to talk about their new Bike Angel program on the local CBS affiliate, WUSA9. 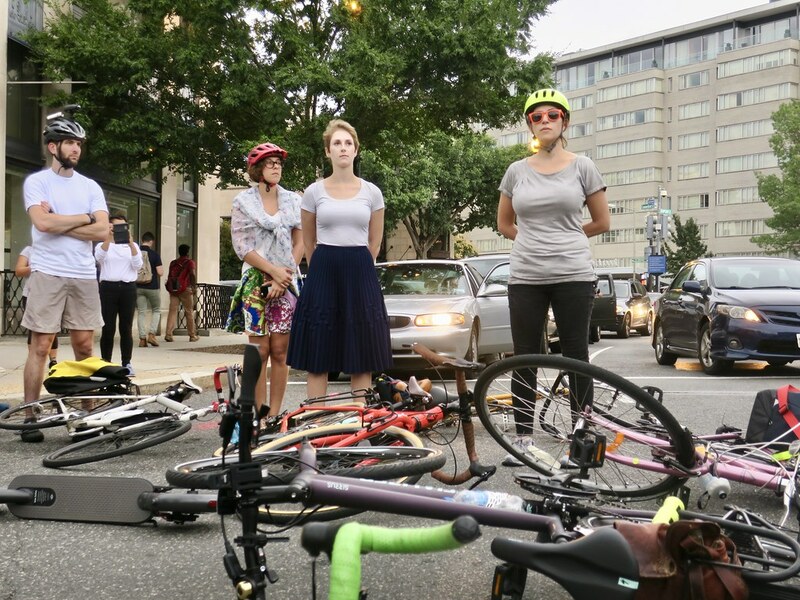 Bike Angels earn points for taking bikes from stations that have too many and moving them to stations with too few. Ten points and you receive a free day pass that you can give to a friend; twenty and you receive a one-week extension of your membership. If you live or work downtown, it’s pretty easy to rack up points, since there are stations that always need bikes. At the start of the program, I was the #1 Angel in DC, a point of pride, but have since slipped way down the leaderboard (I’m JF002). My braggadocio is what caught the attention of John Henry, a reporter for WUSA9. My name popped up when he searched for mentions of Bike Angel on Twitter. He asked to interview me and I replied, “You mean on camera?” I prefer to be behind the lens, not in front of it, but will get on TV to talk about bikes. John interviewed me for about 10 ten minutes on a sweltering day at Dupont Circle. He was a one-man operation, with a couple of cameras and a mic. It was fascinating to see the final result, which aired on the 11 PM broadcast, how he took quotes from me, shots of people on bikes, and his narration to tell a story. It’s a quality piece of video and a very positive representation of biking in the city. The other lesson I took from this experience: reporters want to find their own stories. I’ve worked in places that pump out press releases and then wonder why no one picks them up. It’s because a press release is not a story. In a city like Washington, reporters are inundated with press releases. The organizations that issue them wonder why media organizations don’t run them verbatim. It’s because most press releases are dry recitations of fact. Instead, find a human that readers can identify with and tell their story to communicate your message.